We are a consulting firm dedicated to fill the gap between international markets and the South American mining sector. From publicly listed vehicles to private equity funds, we believe in creating value by building enduring trust with our clients. Sneak peek!! 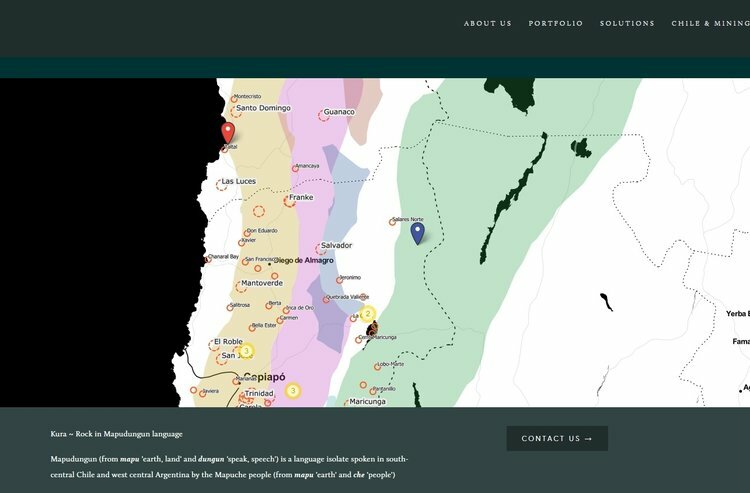 Explore our database with multiple projects located in Chile’s prolific metallogenic belts, from greenfield prospects to mine operations. Stay in touch!! Every other Tuesday you can receive latest news of the exploration and mining sector in Chile and South America. Review and suscribe.